Going into this independent study, I thought I would be talking and thinking mostly about feminism, misogyny, and violence against women. This turned out to not be the case. The more I got into rewatching and reading about the series, the more I realized that there honestly wasn’t a whole lot there that interested me. The role of misogyny and violence against women is readily apparent. 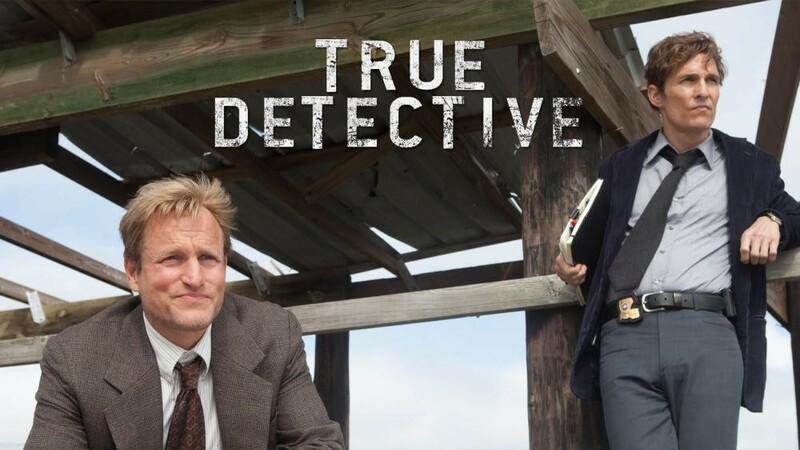 Google “True Detective,” and the majority of critiques you’ll find are about misogyny. Everyone, it seems, wants to know if it is intentionally misogynistic or not; and they all decide to make a judgment call. That very interest in intentionality became part of what I’m focusing on instead—and the various power structures that develop as a result of certain gender-based classifications. To some extent, this topic includes violence against women and misogyny, but it is not limited to that and it often appears in much more subtle ways. For example, it’s easy to identify a sexualized, dead female body as misogynistic. It’s harder to pick out exactly how the male characters in the series perform dominance on a regular and consistent basis. This is partially because, as viewers, we’ve become desensitized to these subtle assertions of power. Of course, this is no surprise as the process of power structures becoming normalized is precisely how hegemony works. The performance of dominance only works because those being dominated have been subjected to this performance several times before. Detective Marty Hart performs dominance as an element of his white male character from the very beginning. He adamantly believes the world works in a certain way and that anything to the contrary would be disgusting and unworthy of notice or even existence. He explains in the very first episode that everything and everyone fits into a particular box or category. There are two main male characters. They’re detectives for the Louisiana state police. They’re Rust Cohle, who is dark, mysterious, and a whole host of unsettling adjectives, and Marty Hart, who very much fits the stereotype of a Southern middle-class, white male. Women exist. But they are either dead and sexualized, a wife who nags, or a prostitute who deals drugs on the side. The men are (relatively) good. The women are good for nothing. It turns out that classification, then, is crucial to the success of how these characters develop throughout the series. The show is known for addressing life’s tough questions. It does this, though, in an exclusively male space. In the upcoming blog posts to this series, I will be exploring the writers’ choices of environment, how classification takes an active place within the series, and why any of this matters. 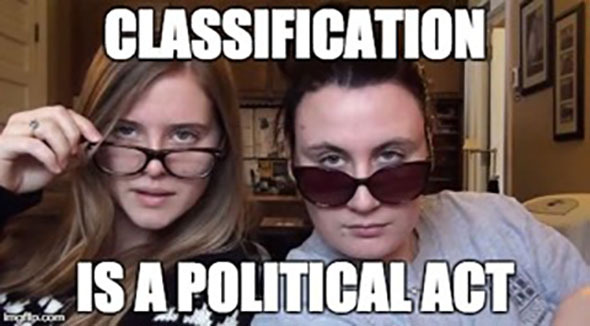 After all, classification is a political act. And it’s a political act worth exploring. This entry was posted in Relevance of Humanities, Religion in Culture, Student Blog and tagged Classification, Feminism, Hegemony, Marty Hart, Misogyny, Rust Cohle, Sarah Griswold, True Detective, Violence by admin. Bookmark the permalink.